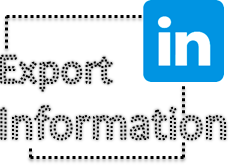 How much information you have been fetching into your LinkedIn profile lately? 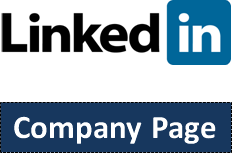 LinkedIn is a social network for professionals to meet up, exchange knowledge and ideas, build long-term business relationships and to stay connected with each other and interested companies. Therefore LinkedIn profile is not like other usual social profiles, where you list your favorite movies, artists and everything personal. Are you open to businesses? You could be an individual looking for opportunities to serve people with skills or knowledge you've got. Else you or group of people including you, may offer set of products or services for people. If you are really serious about business and reaching clients online, LinkedIn is a platform you need to aware of. Are you on Twitter and rocking with other tweeps you follow or followed by? Twitter is a place where anyone can follow you unless you protected your tweets. It doesn't matter if the followers count on your Twitter account goes higher and higher everyday, isn't it? 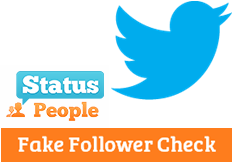 It means you are being more popular and others would love to see what are you tweeting all day along. Probably, you may right about the attitude of being followed by many number of people. But it's another aspect of the story. Do you know what's the other side of the same story? ContactMe has been shut down. 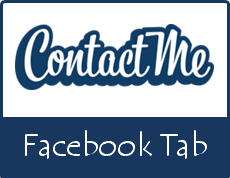 Do you have a contact form on your blog or website you manage? If you are still unable to create a contact page for your site, you may missing opportunity and your visitors find it very desperate to contact you. May be you are showing your contacts publicly. But don't you think it may attract spammers more than folks who wanna contact you? 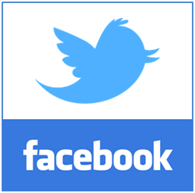 Have you ever been wondering about updating your Facebook profile via Twitter? If you have been spending more time on Twitter to share tweets with your friends and followers, that thought might have been around for a while. So you have to head back to Facebook and share same message again. What if you forgot? 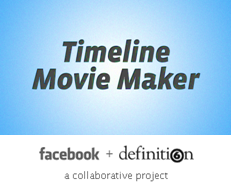 Timeline Movie Maker has been shut down. It was really fun! Facebook is a great way to get connected with your friends and family online to share and care. You can share photos, videos, events and quite like being in a party with everyone you love. Not only your friends and family members, but also you can engage with your customers and followers through Facebook Pages. Can you recall best memories you had on Facebook? Don't you love to have some privacy? Everyone does. Even on Facebook, you have settings to take control over the information you share and whom you wanna share with. Talking about Facebook, you can find many applications to use with and can be very helpful. For example, to enhance the security. 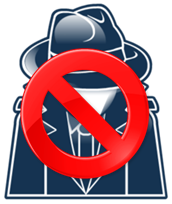 But if you don't know how to set up privacy controls for your applications, some information can go into wrong hands. Were you aware of that? Are you rocking on Twitter? Twitter is a micro-blogging website where you can communicate with other tweeps and broadcast messages to followers interested in your updates. As you are on Twitter, you tend to tweet more interesting updates related to your niche to grow connections and find similar interested people. I know Twitter is not the only social network you get connected with like-minded friends and followers or share updates. Simultaneously you may wanna post updates on your Facebook profile to get more exposure or keep your Facebook friends and subscribers updated. But does it sounds great? I mean running around and posting same updates on Facebook. 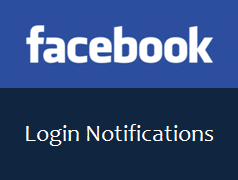 What if you can let it happen automatically without being worried about sparing time on Facebook? How many social networks you have heard of? Think... Absolutely, you can take you time. Err... Seems like it takes more time. Alright, think about it later. Okay? What if I ask, what is your favorite social network? You will come up with an answer in no time. Was it Twitter? or Facebook? or something else? However if you are interested in Twitter and Facebook, you can count on. Currently, Twitter and Facebook are popular social networks on the web. Eventhough you on Twitter and Facebook, are you spending most of your time on Facebook? Or do you wanna share interesting facts or information you share on your Facebook with followers on Twitter at the same time? There's one thing that my Human Resource Management lecturer always used to say - Each person is unique. People can be differentiated with their skills, abilities, ideas, intuitions or such qualities. But being unique doesn't mean that we wanna stay away from each others. People mostly working together to be effective and efficient instead of being individuals to achieve goals. They always find something similar among them to get connected and stay in touch. Something they all love. Like you and me. Yeah, Common Interests. People love to get together and talk and share about them. That is where the need of a "Group" pops in. Don't you wanna get into a group and share interests with like-minded people rather than exposing all of them to public or other friends who are not interested in? How are you doing on Google+? Almost addicted? Or feels boring and staring at it? Else you just started to play with Google+ to give more exposure to your content. 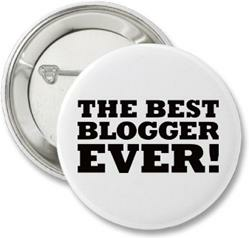 But the question is, did you get more attention to your content on Google+? Sometimes you may find that Google+ does better in creating conversations. But sometimes even not a single interaction. Just go through your old posts on Google+ and you may find a solution yourself. 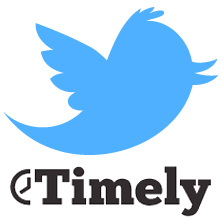 You can analyze the posts that have more interaction and try posting future posts on identified productive time slots. That's your best shot. 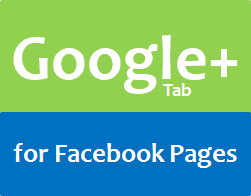 Apart from that, what if can get more exposure for your Google+ posts on Facebook? What... You hate Twitter? How could you possibly hate that cute birdy? Absolutely you are not hating the Twitter birdy. But you may have fed up of it's productivity for you. There could be loads of reasons why you are not in love with Twitter. After spending time on Twitter, you might have realized that your tweets not being retweeted as you thought. Is that the reason you gonna keep Twitter out of your sight? 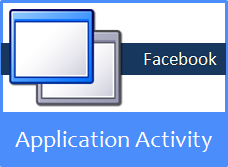 Lately we have been talking about Facebook and related applications. However I find that readers find it interesting about those topics which helps them to personalize their Facebook page with timeline. 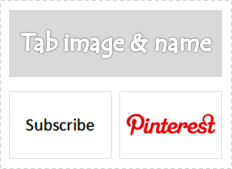 The recent topics we had about adding Pinterest Tab and creating Custom Tabs. Both articles were about adding tabs to Facebook fan page. 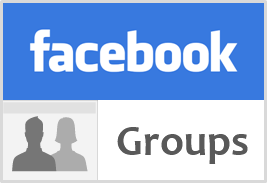 If you have already added a custom tab for your Facebook page, you might find that its default name and image doesn't work for you. In such a scenario, you might seek a way to change tab name and image to comply with your page design. Wonder how to change your tab image and name? Facebook is a place where millions of people connect virtually to share their interests or activities with interested or relevant parties. How do you use Facebook to gain more exposure to your business, brand or organization? Most probably you may have make use of opportunity offered by Facebook - Facebook fan pages. Facebook pages help your businesses or organizations to promote your products or services and it's really effective as millions of people lies on Facebook. 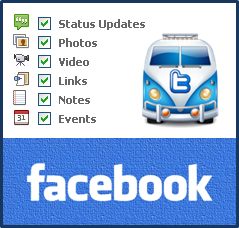 Also for Facebook fan pages, there are many of applications created to be used with. As it is such a effective web solution to stay connect with interested people, what if you need to show off promotions or such customized information on your fan page for users? Are you on Pinterest? If you love to organize interesting stuff you find online, you may have already using this service. It all goes with visual appeal. There you can find lovely and creative images exist on the web and pinned down by other Pinterest users. Actually it's an innovative approach for social media. 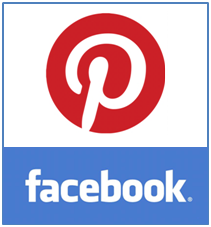 Recently Pinterest start to hit millions of users and became much more popular among social networks. If you were not a Pinterest lover first, then you may try it out after it start to revolutionize social media world. Probably to get more traffic for your content. However if you are still new or would like to promote your Pinterest boards and pins, what about showing them off on your Facebook page? Did you ever find someone annoying on Twitter? Mmmm... It could be a spammy account which survives on Twitter just to spam around. However we have already discussed how to report and block spammy accounts on Twitter. But it's not what I wanna talk about. I mean, did you find someone that always nagging around you or feels like boring always? If you find such a user on Twitter, you will glad to get rid of such users on Twitter. Don't you? But do you know how to block them and prevent from interaction with your Twitter account? Are you a victim of Pinterest craze? Pinterest has been evolving on the web from 2010. But it has got most of user attention lately in the 2012 and lead to some critical copyright situations too. Therefore they had to offer a solution to block sites from pinning to prevent businesses getting sued on Pinterest and another portion of users deleted Pinterest accounts to be safe from spreading sensitive content. However still Pinterest is a traffic generator. People love being there and pin interesting content they find on the web. So you might wanna give it a try too. Or else your visitors wanna pin your content. But I don't think that you want them to do it in hard way. Do you? Do you tweet regularly? Or a fan of Twitter? Twitter is a great way to communicate with your friends and followers instantly eventhough it limits your messages to 140 characters. However as a Twitter user, no one needs invitation to follow or see your tweets as long as your tweets not protected. Therefore some people may try to abuse on Twitter in available room. 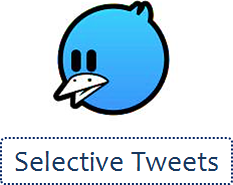 Mostly some people will send you harmful links or try to get attention of yours by using @reply or @mention functions. It means either they will reply your tweets with harmful links which directs to malware websites or send you unwanted messages with the mention of your account name to get attention. It will be buggy as you regularly use Twitter and you may want to get rid of them. We can identify this behavior as spamming on Twitter. 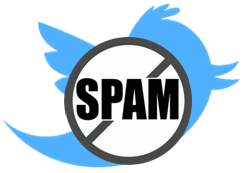 Would you like to get rid of spammers on Twitter?